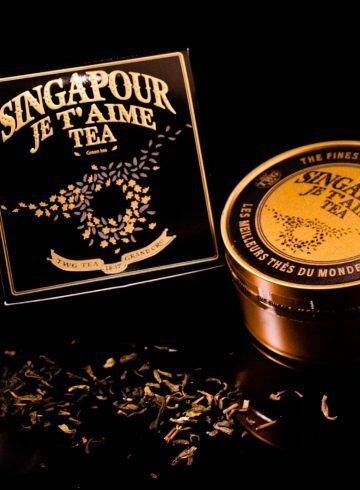 Sofitel Singapore City Centre invites you to sample the smoothest, richest barrel-aged cocktails in the city. 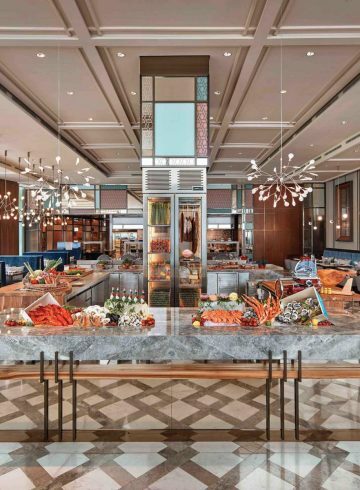 Every Friday from 5:30PM to 7:30PM, 1864 – The Lobby Bar opens the taps on 3 of its signature barrel-aged cocktail blends, served alongside a selection of canapes to complement their unique flavours. Together with 1864’s luxe ambiance, French Fridays are perfect for evening rendezvous with friends! 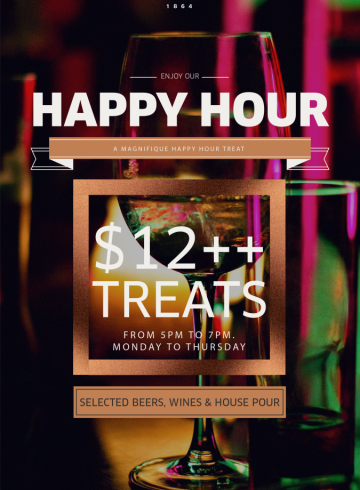 $12++ Treats at 1864 A Magnifique Happy Hour Treat from 5pm to 7pm (Monday to Thursday) on selected beers, wines & house pour.